– Create a plan for high school. Take rigorous courses and make sure you know how you are going to meet all of your graduation requirements. Challenge yourself. Set goals (both short-term and long-term) so that you can obtain the GPA you need to get accepted to colleges you are interested in. – Consider questions like “What type of career do I want?” or “What skills do I want to use in my profession?” and think about what steps you need to reach those goals. Try to take elective courses that will help you get there. – Get involved. Applying to college isn’t all about your GPA and Test Scores. It is important to explore your interests and learn how to balance your time. It’s also crucial that you have an outlet, especially as you get stressed with school. Colleges want to see that you have a complete resume. – Do well on the PSAT. This test will help you to build skills to take the SAT in 11th and 12th Your scores may even make you eligible for scholarships! – Attend College Trips and College Fairs when possible. The 9th Grade will have its own College Trip and members of the College Leadership and Awareness Program (CLP) club will also be invited to attend the annual College Fair trip. – Explore Summer Opportunities. Don’t be lazy all summer! Definitely relax, but make sure you’re doing something productive as well. Look for a job, internship, college summer program, or volunteer experience. – Focus on your grades. Remember: your grades do matter, even in the 9th Seek out tutoring resources if you find yourself struggling and make sure to reach out to your teachers and counselors if you need help. – Keep your RaiseMe account up to date so that you earn scholarships through things you’re doing anyways in your years of high school. – Use CollegeBoard Big Futures to search for colleges and use College Greenlight to help research them even further. Finally, add colleges to your Make Me A Freshman account to stay up to date on your deadlines in your senior year. – Meet with your counselor if possible to talk through your plan after high school, including colleges you are interested in and your career plans. – Stay up to date on your 4-year-plan (Graduation Agreement). If you fail a course that is required for graduation, try to make it up in summer school so you don’t fall behind. – Take the PSAT again. This test will help you get ready for the SATs and your scores may make you eligible for scholarships. – Work building positive relationships with teachers – they’ll eventually have to write your letters of recommendation! – Attend College Trips and College Fairs when possible. The 10th Grade will have its own College Trip and members of the College Leadership and Awareness Program (CLP) club will also be invited to attend the annual College Fair trip. – Get more involved in your extracurricular activities. Show that you are committed and that you are willing to taking on leadership roles. – Focus on your grades. Colleges want to see that you have improved since 9th grade or at least stayed on course. – Explore summer opportunities. Colleges want to see that you are productive in your summer months. Get that job or internship, or start taking Dual Enrollment classes if you’re eligible. – Prepare for 11th Take rigorous courses such as Honors or AP courses if you can. Make sure to also complete any required summer assignments before the year begins. – Take the PSAT for the last time. Make sure to take it seriously as this is the most important year. Your scores during THIS test may especially make you eligible for BIG scholarship money, such as qualifying for the National Merit Scholarship. – Really take time to research colleges. Look at websites, talk to your friends, teachers, and counselors, and go visit schools when you can. – Get involved, take on leadership positions, and continue networking whenever you can. – Financial Aid and Scholarships are there for you to apply to. Apply for scholarships on your College Greenlight account and considering getting a Scholarships book from Amazon (for only $20 or so!) which will have thousands of scholarships. It is recommended that students apply to one scholarship per week from their 11th to 12th grade year in order to earn enough money to close any gaps left by what colleges offer you. – Consider taking Dual Enrollment courses to buff up your GPA and college resume. Don’t take too many – your in-school courses are still important. – Attend the various college representative visits and put a name to a face by personally introducing yourself to admissions counselors who will review your applications. – Go to 11th Grade Information Nights and attend the 11th Grade College Trip. – Sign up to take the SAT and ACT. You’ll also want to determine whether you will take any SAT Subject Tests. Some colleges require this. You’ll also want to make sure you have time to take SAT/ACT tests at least twice before you send off your applications. March and/or May of your Junior Year is when you should the SAT for the first time, if not earlier. Then you can take it again in the summer, and one last time in October of your senior year if necessary. – Preliminary Letters of Recommendation Requests: In April/May, ask 3-4 teachers if they would be willing to write a letter of recommendation for your college applications. If they say YES, you’ll follow up with them in the Fall. – Put more time into your College List Draft. Do some research and come up with 10-15 colleges that you would be interested in applying to. Meet with your counselor if you need help. Look at the average SAT/ACT scores and the average GPAs that school takes. You’ll want to apply to schools that are close to what your scores/GPA are. – Take AP Exams if you’re taking AP courses. This is your chance to get college credit for the courses you’re taking in high school. – Refine your college list. Visit the school that you had on your college list. Go to college fairs. Speak with admissions professionals. Narrow down your list to a maximum of 10 colleges. If you can’t visit a school, do virtual tours on YouTube and use College Greenlight to make sure the school is a good fit. – Draft your resume. Make sure you begin making a resume of your awards and achievements, activities, and work/volunteer experiences so far. Many colleges request this as part of their application. – Set up your Application Accounts. Wouldn’t it be easier to do ONE application for many schools rather than individual applications on many different websites? 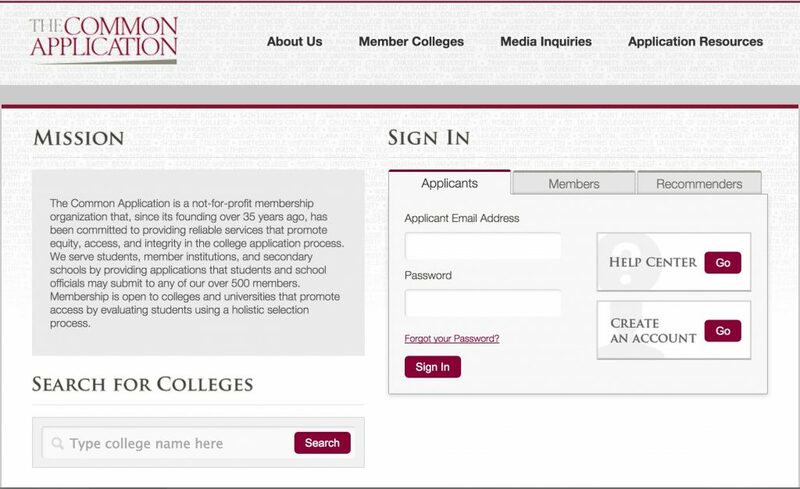 Set up accounts on CommonApp, Common Black App, and Coalition. Look into these three websites and see which ones have the majority of your colleges and apply that way. It’s WAY easier. This also means writing ONE essay for many schools instead of ten. – Draft Your Essays: Write first drafts of all of the essays required for the schools you are applying to (including the CommonApp essay). When you get to school in the fall, you’ll be able to attend one or more workshops at CMIT where we will help you refine these, but you’ll want to have drafts ready. – Take Dual Enrollment courses. This is your last chance to take a course that will go onto your High School Transcript. – Recommendation Requests: As soon as you get back to school, go back to your Teachers and ask them again to be your recommendation writers. If they say YES, add them to Naviance as a recommender for ALL schools. – Senior Questionnaire and Secondary School Report (SendEdu): Complete your Senior Questionnaire and give a hardy copy to your counselor by the 3rd Friday of your Senior Year if you are applying for November 1st Also complete the requested portion of the SendEdu report and email it to your counselor by the 3rd Friday of 12th Grade. If you plan to go to college, you need to meet this deadline so your counselor can write your letter of recommendation. If you get these things done after that deadline, your letter will NOT be ready for November 1st deadlines. These items are linked in the “Applying for College” page under the Counselor Tab of the CMIT Academy North Website. – If you are going to take the SAT one last time, register in September and take the SAT one last time in October. – If any of your schools require documents to be mailed, complete and turn in your transcript request form to your counselor. Students must provide their own envelopes for each school that requires mail. 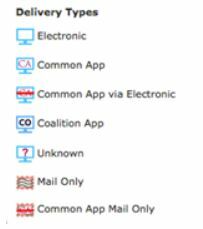 Note: the symbols below indicate the different college application types on Naviance. The two that mention “MAIL” are the ones that require a transcript request form. Any schools that have these symbols require mail. – Send your SAT and ACT scores to all of your colleges. You must send them directly from the SAT/ACT websites. Your counselor does not do this. – Do your FAFSA. On October 1st, the FAFSA opens. Students should make their FSA ID prior to this date so that they can do their FAFSA in October. The earlier students do their FAFSA, the better their chances are for getting better financial aid packages at many schools. – MANY colleges have a November 1st Early Action Deadline (including most colleges in Maryland, DC, and Virginia), so you really need to focus on getting your applications completed in October. Ensure that your letters of recommendation were uploaded. Make sure that your CommonApp account is linked to your Naviance account. Check that your documents were sent to your schools by October 31st. – Many colleges require your counselor to send transcripts again once 1st Quarter Grades are in. Complete Transcript Request Forms for all schools that require this and send them off. – Continue working on applications and make sure to send them off to all of your schools by their earliest possible deadline. – Check your application status for schools you already submitted applications to. Ensure that all of your materials were sent and received. – Don’t get senioritis…at least not so much that your grades suffer. Colleges are still looking at your grades. If you do not do well in your senior year, colleges may rescind your acceptance. – Check your application status for schools you haven’t heard from yet. Ensure that all of your materials were sent and received. – Review Financial Aid award letters. If you would like help comparing these different award packages, work with your counselor during Seminar Series sessions to determine what the best deal is. – May 1 is National Decision Day. Make sure to select your college and send in your deposit by this date in order to be eligible to enroll. You can only submit a deposit to one college. – Take AP exams if you are taking AP classes and consider taking Dual Enrollment courses. This is your last chance to earn college credit before college.